It's summers here in Melbourne so berries are in season. Time to experiment on berilicious desserts. 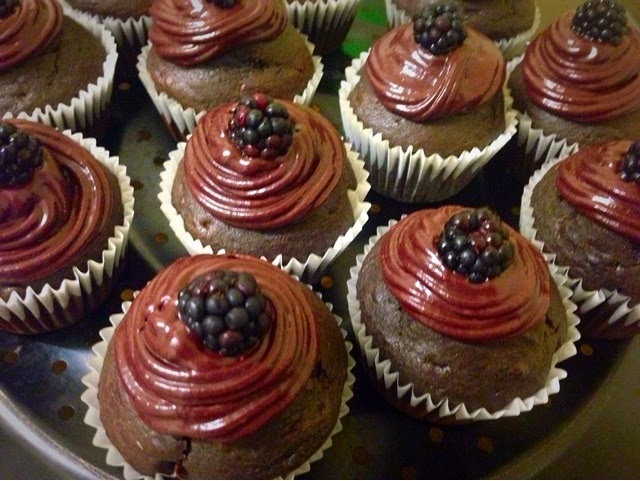 These cupcakes have a burst of berry and choclate flavor. Being eggless and butterless can be enjoyed by vegetarians and vegan. 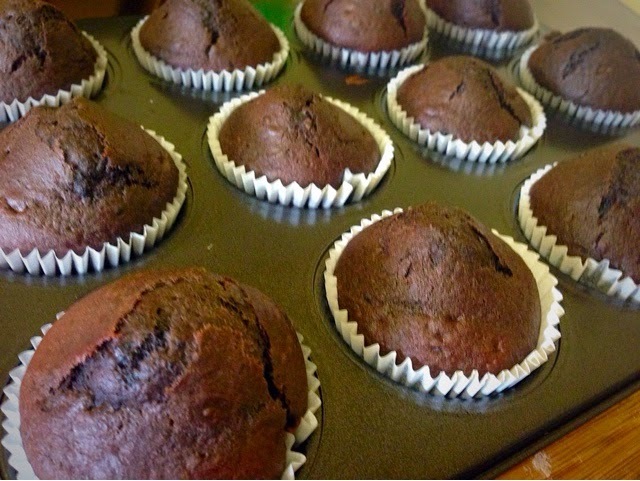 I generally do not do much eggless baking but this one is a hit. Very easy to make and believe me you'll enjoy every bite of it, specially its frosting. 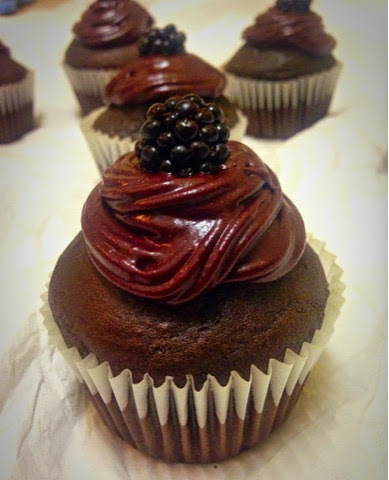 Method:In a deep pan combine the blackberries with 1/4 cup granulated sugar. 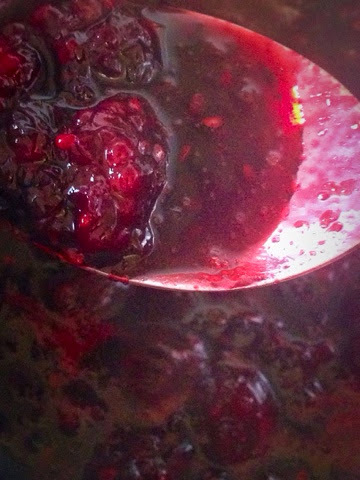 Bring to a boil over medium heat and cook for about 10 minuted until the berries are completely mashes. turn off the heat. 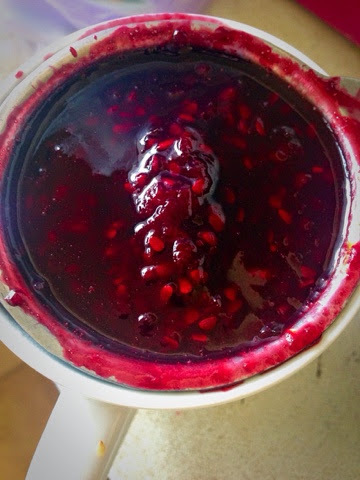 Strain the mixture, you will get about 1/2 cup of juice. save the solid part. Preheat oven to 180C and prepare a 12 cup baking tray. In a bowl mix together flour, sugar, cocoa, baking soda, coffee and salt. Add the vanilla extract, oil, blackberry solid and milk. Using a wooden spoon mix the batter well and keep mixing until you get a smooth batter. Divide batter between 12 baking cups . Bake for 18-20 or until a toothpick inserted into the center comes out clean. Remove from the oven and allow to cool to room temperature. 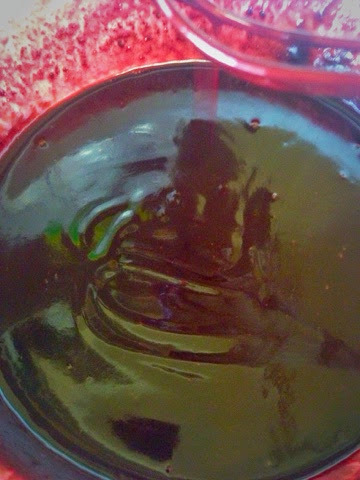 Mix chopped chocolate and blackberry juice and heat in a microwave safe bowl for 1 minute. leave for a minute and whisk well until smooth. let it completely cool for about an hour. beat ganache for 2 minutes. now using piping beg or pastry beg pipe on cooled cupcakes. garnish with fresh blackberry. Can v use any othr berry instd of blck s it is not availble here...? ?